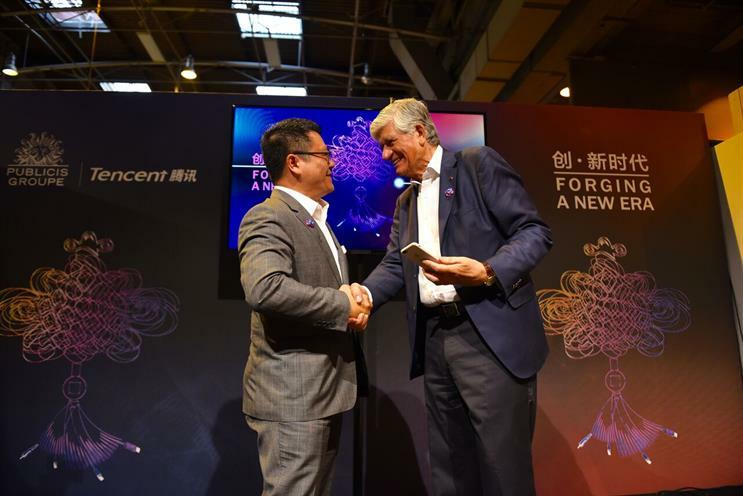 Publicis Groupe has announced a global strategic partnership with Tencent, the Chinese internet giant. The agreement is intended to breed innovations across three pillars: future capabilities, data and content, and will work across all three solutions hubs of Publicis Groupe: Publicis Media, Publicis Communications and Publicis.Sapient. The two companies will partner on the creation and investment in web native content, share data, and launch Drugstore incubation facilities to invest in and develop startups of the future. The partnership, announced during the Viva Technology conference in Paris on Friday, was signed by Publicis Groupe chief executive, Maurice Lévy, and senior executive vice president of Tencent, SY Lau. The pair marked the event with the scanning of a WeChat QR code. Lévy said: "China continues to lead the world in advertising growth especially in digital and mobile and we increasingly see new ideas and technology that leapfrog the West. Tencent is a company that embodies this strive for growth and innovation and we are honoured to be their first-ever global partner and look forward to everything we will achieve together for the ultimate benefit of our clients."